Regardless of what country your fiancée is immigrating from, he or she will need to undergo a medical examination performed by an authorized panel physician in order to obtain a K-1 visa or another immigration visa. A panel physician has been appointed by the government to conduct examinations for immigration purposes. The US Embassy or Consulate in your fiancée’s home country will provide instructions regarding how to obtain this exam, after your K1 visa petition has passed through the appropriate steps, and your future spouse has applied for a nonimmigrant fiancé visa. Vaccinations are not required to enter the US with a fiancée visa. However, your fiancée will have to get up-to-date on vaccinations required for Americans upon adjusting his or her status after your marriage. Therefore, for convenience your fiancée may prefer to acquire all necessary vaccines at the time of the medical examination. 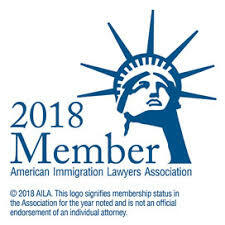 Your immigration attorney or fiancé visa lawyer can advise you regarding when to complete medical and vaccination requirements to avoid delaying acquisition of a K-1 visa.